As peak season for traveling approaches, there have been quite a few announcements regarding new flights. Recently AeroMexico added a flight from Mexico City to Belize City creating a new connection for Belize and Mexico, and now, Sun Country has announced a new flight from the U.S. Starting Saturday, December 22nd Sun Country will be flying from Minneapolis, Minnesota to Belize. We are so excited to see another direct flight headed our way just in time for the holidays! Tickets are available now at http://www.suncountry.com/. 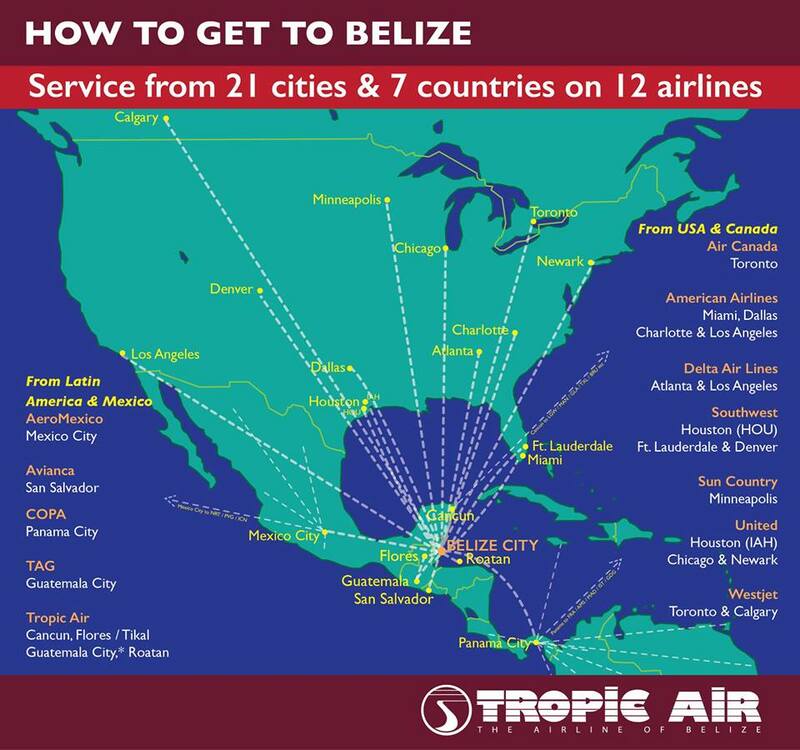 With all the airlines now offering service to Belize, Tropic Air released this graphic to show who can get you here and from where! We look forward to welcoming you when you touch down.